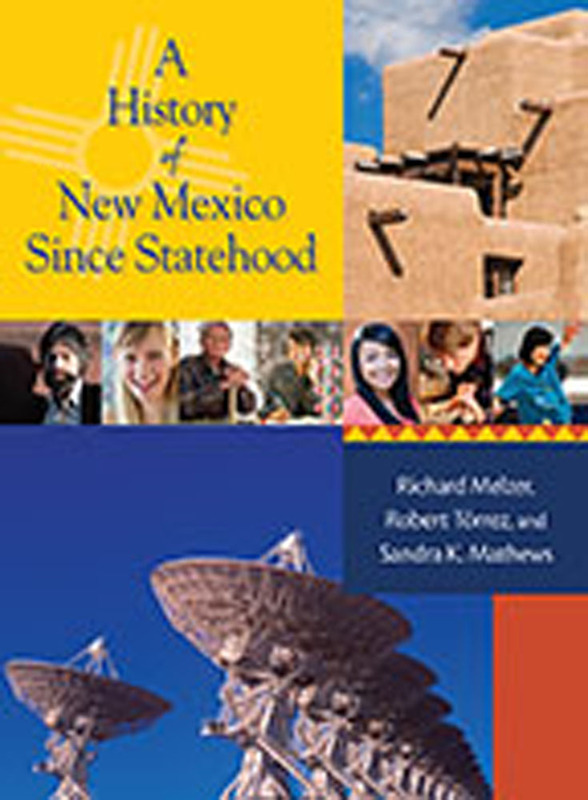 For the first time, there is now a textbook that addresses state standards for the teaching of New Mexico history at the high school level. In this thoughtful work, the authors delineate New Mexico's role in the shaping of the United States by carefully analyzing how the rich histories of the many cultures of the region affected and in turn were affected by influxes of newcomers seeking health benefits, minerals, farms, relaxation, and new beginnings. Supplementing this richly illustrated and accessible textbook is the optional Teacher Guide Book on CD for use with A History of New Mexico Since Statehood, which will help in structuring lessons, tests, and student activities. The Teacher Guide Book is included free with the purchase of twenty-five classroom copies. Richard Melzer is professor of history at the University of New Mexico, Valencia campus. Robert J. Torrez is former New Mexico state historian. Sandra K. Mathews is a professor of History at Nebraska Wesleyan University, Lincoln.